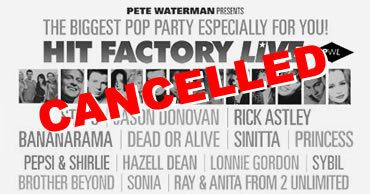 The Hit Factory: Live event celebrating 25 years of PWL and the Stock, Aitken and Waterman sound due tonight is now not going ahead. Hyde Park took a battering over the weekend after torrential rain fell during Wireless Festival transforming the site into a mudbath. Safety inspectors declared the turf in front of the main stage unfit this morning meaning the 1980s extravaganza had to be cancelled. Organisers Live Nation and the Royal Parks decided the site was unsafe for fans and production crew. 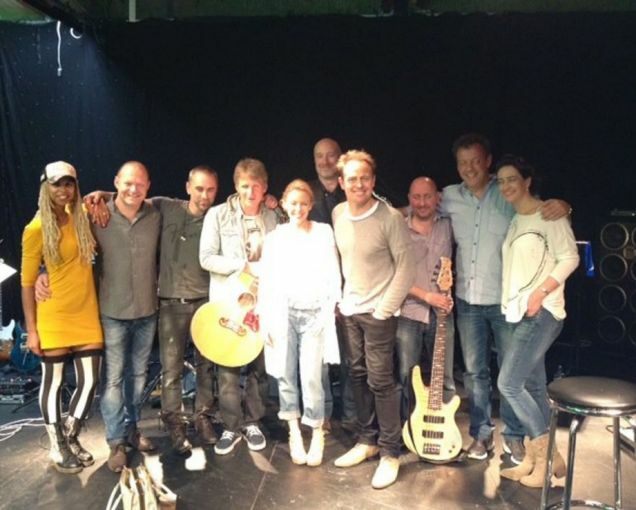 Kylie Minogue, Steps, Jason Donovan, Bananarama, Rick Astley, Dead or Alive, Ray and Anita from 2-Unlimited, Lonnie Gordon, Princess, Sybil, Hazel Dean, Sinitta, Sonia, Pepsi & Shirley and Brother Beyond. So looks like it's not going to be happenin' all over again. We've been so very unlucky, unlucky, unlucky, unlucky.